Beamz Interactive, Inc., a leading developer of state-of-the-art interactive music products, today announced that it has signed an agreement with Inclusive Technology Ltd, a leading developer and distributor of educational and special needs products, with operations based out of the United Kingdom. As part of the agreement, Inclusive Technology will distribute the Beamz Education and Healthcare offering, initially through its European distribution channels, with an option to later expand into Inclusive Technology's broader worldwide distribution network. Inclusive Technology currently has resellers in over 16 countries around the world, including Australia, Cyprus, France, Germany, Italy, Norway, South Africa, Switzerland and the USA, just to name a few. "Our agreement with Inclusive Technology is significant step forward for our European distribution initiatives," said Rod Lewis, Managing Director of Beamz Europe. "As one of the major distributors of Special Educational Needs products based out of the UK, we look forward to strengthening our relationship with Inclusive Technology during 2014 and beyond." Inclusive Technology provides the very best software, switches and computer access devices, communication aids, eye gaze and assistive technology for learners with a physical disability, sensory impairment or learning difficulty. Inclusive Technology's mission is to not only increase the depth of the products it currently offers to its special needs and education audience, but simultaneously expand its offerings to broader consumer market segments with interests in ergonomics, communication aids and independent living. "We are excited to begin opening our distribution channels in Europe to Beamz," said Sukhjit Gill, Managing Director of Inclusive Technology. 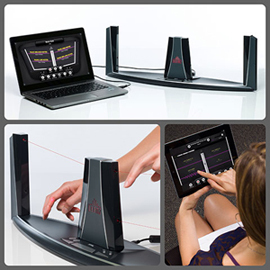 "The Beamz Education and Healthcare model is a fantastic way for those with disabilities to experience the cognitive and physical therapy benefits of interactive music technology. Some of our staff had the opportunity to witness numerous interactions with Beamz at this year's BETT Show in London, and we can't wait for even more children and adults with special needs to experience the benefits of interactive music first-hand." The Beamz Education and Healthcare products are compatible with multiple platforms (PC, Mac and Apple iOS) and come supplied with at least 50 songs across all genres. In addition, Beamz has developed new activity guides, which provide structured activities that showcase how Beamz can be used in many different settings for a variety of purposes. The Beamz music system has become an important device for people of all abilities because music is such an excellent vehicle to teach learning concepts and achieve developmental and physical therapy milestones. Inclusive Technology Ltd is a UK-based developer and distributor of educational and special needs products, providing the very best software, switches and computer access devices, simple communication aids, eye gaze and assistive technology for learners with a physical disability, sensory impairment or learning difficulty. Inclusive Technology also offers the very best from QED (Quality Enabling Devices). Inclusive Technology has resellers in over 16 countries, distributing to territories around the world. In addition to its own proprietary products, Inclusive Technology offers the best from AbleNet, AMDi, Attainment, Crick, Don Johnston, QED, Tobii, Traxsys, Widgit and many other brand names in the special education needs industry. For more information, visit: www.inclusive.co.uk. Based in Scottsdale, AZ, Beamz Interactive, Inc. has created state-of-the-art interactive laser controller technology that can be used to develop new market opportunities in a wide variety of music, education, healthcare, gaming and consumer applications. In its first application, the Company developed an innovative new music technology and product offering that brings music to literally everyone in a way that was previously not possible. Beamz allows people that have no musical background or training to play and enjoy music within minutes, yet it has the depth to enable accomplished DJs, artists and musicians to perform, compose and create highly sophisticated interactive music. Beamz Interactive's technology portfolio includes multiple patents, patents pending and trade secrets covering interactive music, software, laser-based controllers, gaming applications and related designs and devices. For more information on Beamz, please visit: www.inclusive.co.uk/beamz-p6972.